It's no secret that yogurt is good for your body — which explains why there's been a veritable explosion of new brands and products hitting stores. Remember when all we had was either drippy Dannon or plain Pinkberry? No more, our yogurt-loving friends. It’s a new era for yogurt. Not only are there tons of not-so-sugary, mousse-like "Greek" kinds on the block (Chobani and Fage, that’s you), there are DIY yogurt bars and froyo joints popping up like crazy, too. We are assuming you’ve jumped on the Greek bandwagon because, well, who hasn’t? (Sales of Greek yogurt are projected to be $1.2 billion by the end of this year, according to Mintel). But in case you are late to the party — or you love it but don’t know why it’s good for you — here’s how your yummy yogurt of choice stands up to the old school stuff. “Greek yogurt has almost double the amount of protein that regular yogurt has, which is important for building and maintaining good muscle tone, as well as helping to increase satiety or having that sensation of feeling full,” says Masor. 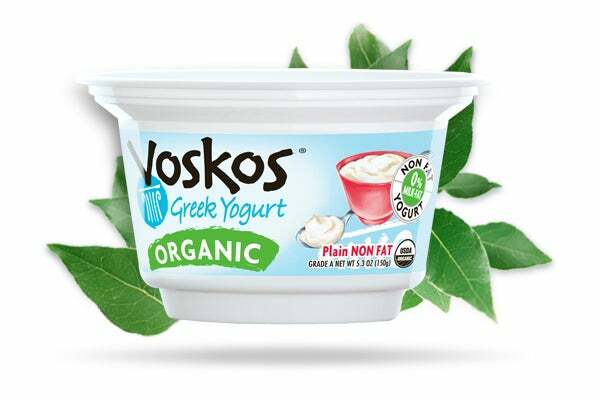 Plain yogurt is still a great source for the big C (as in calcium), but Greek kinds typically have three times the amount as regular versions. So, essentially, reach for one every a.m., and you’ve got one less supplement to worry about (strong, healthy bones coming right up). Pretty much, the numbers are the same whichever kind you choose — when it’s kept bare, as in just yogurt. Which means, stay away from the parfait. “Brightly striped cups look that way because they’re loaded with extra calories and fat from all of the granola and sometimes added syrup,” says Masor. If you want to add something sweet to your yogurt, simply mix in some fresh blueberries or strawberries. “To get that nice nutty texture and flavor, chop up some walnuts, almonds, or pecans, and add that to your yogurt, and even some flax seed to get extra omega-3,” suggests Masor. 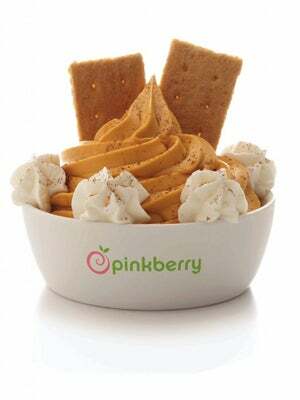 But you could walk right on past that Pinkberry and into one of the new yogurt pop-up stores that are popping up allover. Dannon (who we must say has its own Greek versions now, too) has Yogurt Culture Company and Chobani (currently the number-one seller in the U.S.) opened its namesake "yogurt bar" last month, both in NYC. But that doesn’t mean you should turn your yo into a full-on sundae. “All the toppings and flavorings make it not so healthy — for example, it is like taking a nice green salad made with kale, fresh bell peppers, and tomatoes, and drowning it in ranch dressing,” says Masor. What options you should opt for: the fresh fruit, of course; go ahead and pile them on. The crushed up chocolate bars? Look. The. Other. Way.